Though imposing in stature, the bison is a peaceful creature. It has just a handful of predators and was facing extinction until recently. Fortunately, its numbers have made a comeback in national parks, especially in Canada. The large creature was an important food source for Native Americans, who wasted no part of it. Today, the massive creatures roam the grassy plains, as shown on this silver coin. It is little wonder that this beautiful creature was chosen to be part of a series that honors some of Canada’s most important animals. 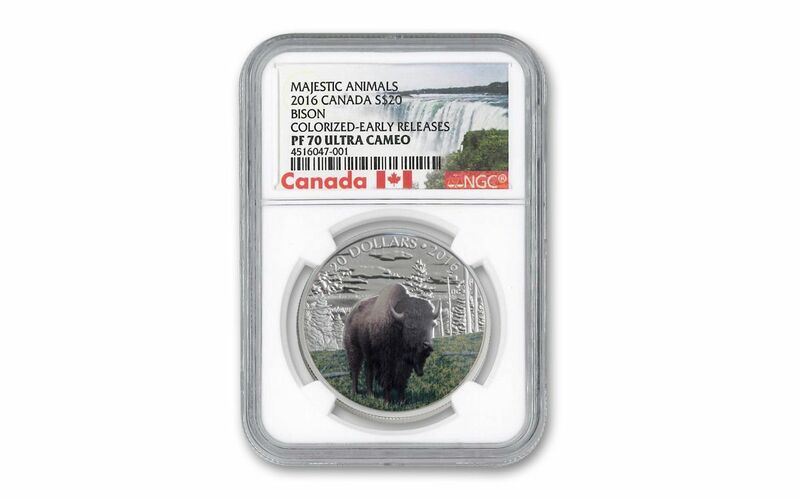 FOURTH COIN IN THE MAJESTIC ANIMALS SERIES – This 1-oz Silver Benevolent Bison Proof was the fourth coin in a series that celebrates some of Canada’s majestic animals. FOUR NINE FINE WITH PROOF FINISH – Each 2016 Benevolent Bison coin was struck from 1-oz 99.99% fine silver at the Royal Canadian Mint. The coins bear a stunning proof finish that suits the series’ theme. 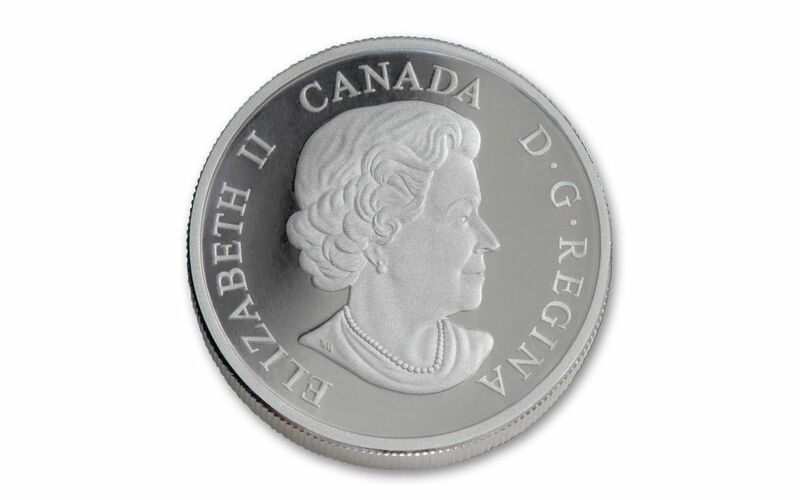 CANADA LEGAL TENDER -- Each 2016 Silver Benevolent Bison Proof is $20 Canadian legal tender, as noted at the top of the reverse. In addition to being home to one of the world’s elite mints, which produces countless series for a wide range of collectors, Canada is home to breathtaking scenery, which includes endless forests, deep blue lakes, and stunning shorelines. 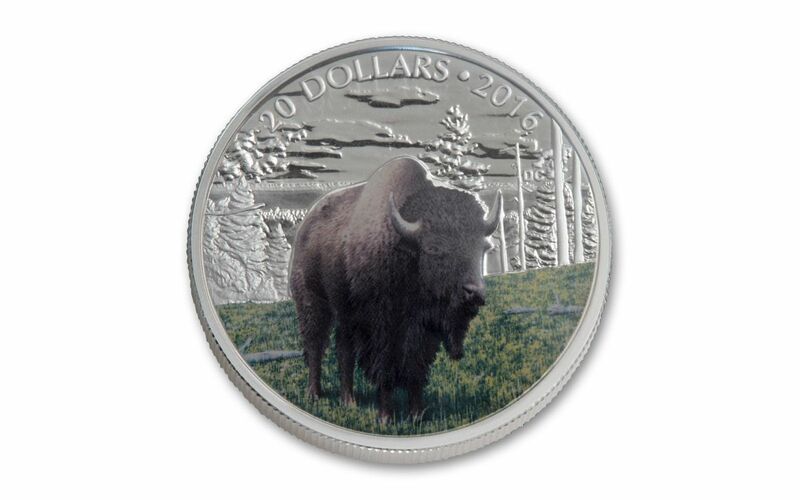 A LIMITED MINTAGE – While the beauty of the bison can be appreciated by countless collectors and conservationists, the Royal Canadian Mint made just 6,500 pieces in this mintage. Roaming the North American plains for centuries, the bison has played important roles throughout American history. In particular, it was source of food and clothing for Native Americans. It was dangerously close to extinction in the 20th century, but its numbers have since recovered in no small part due to conservation efforts on the part of the Canadian government. 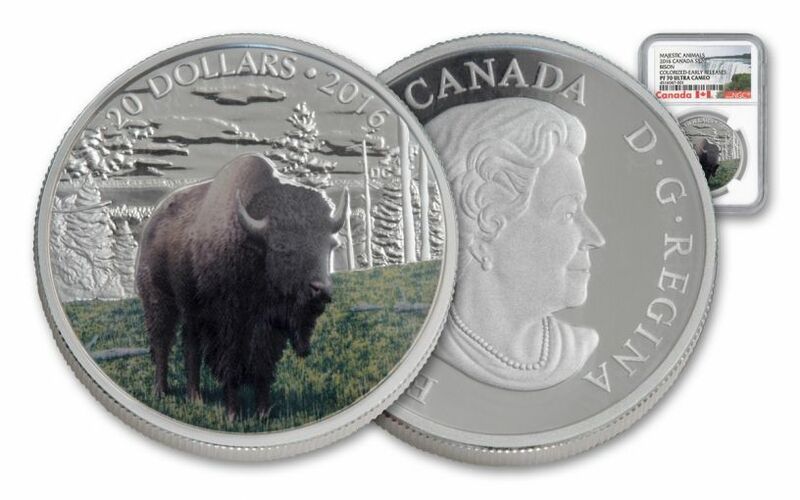 This stunning 2016 1-oz Silver Benevolent Bison Proof honors its historic and current place in Canada. Don’t wait to add this beautiful, low mintage piece to your collection.